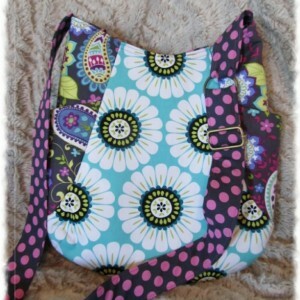 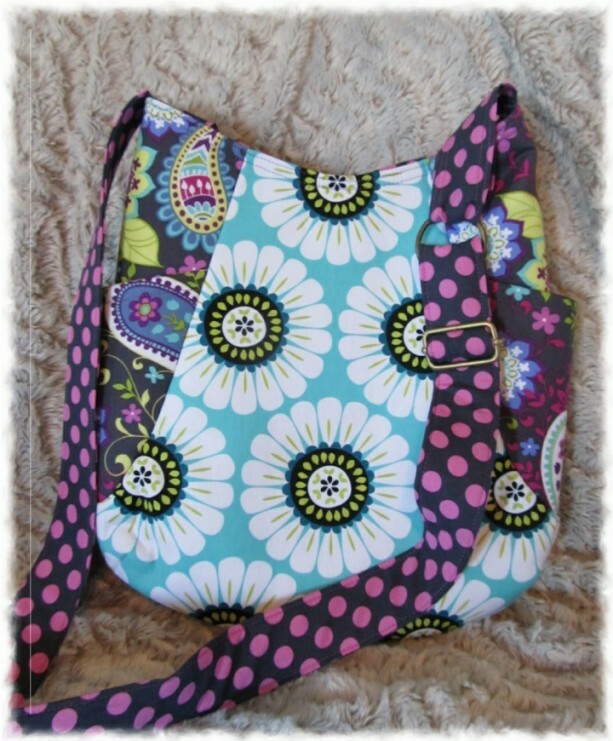 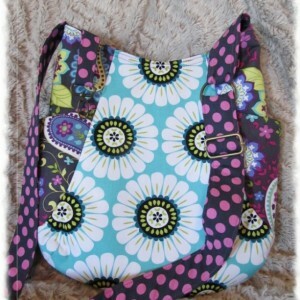 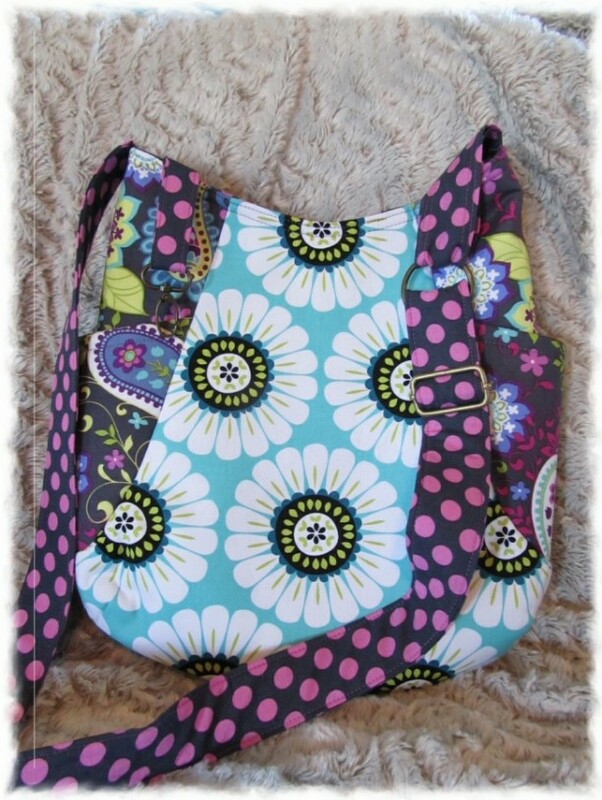 This 241 tote is very bright and pretty, perfect for a gal of all ages! 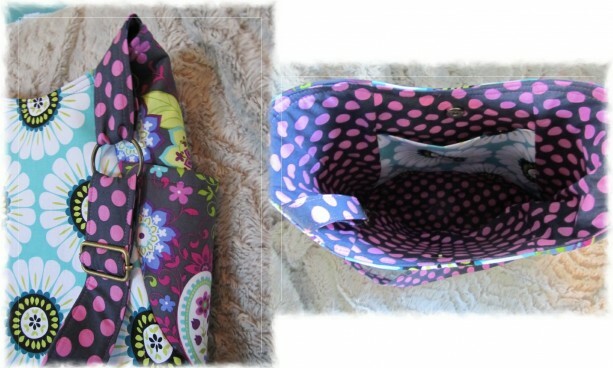 It has an adjustable strap, a magnetic snap closure and a lobster clip for your keys or doo dads. 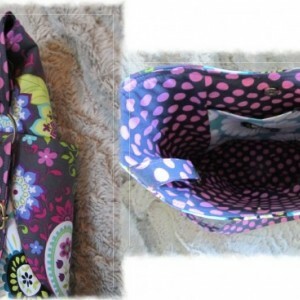 Dimensions: 15″ wide, 10″ tall, 24″ including the handle, 5″ across the base If you would like this same bag but made in the fabrics of your choice please contact me for a custom listing!